This quick and creamy tater tot delight is perfect for the coming Holiday Season. Preheat oven to 425 ° F and bake tater tots on a baking sheet as instructed on the package. 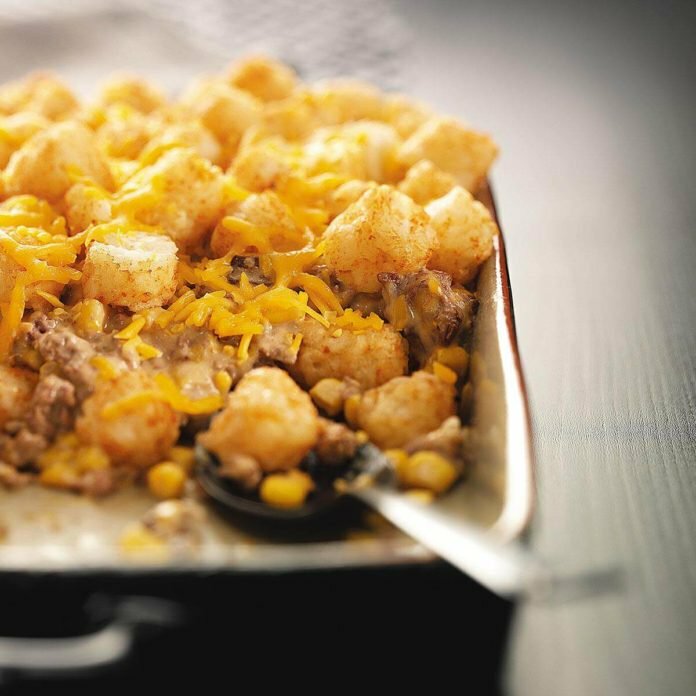 While baking the tater tots – brown the ground beef in a skillet with minced onion. Once the ground beef is done; drain and stir in garlic powder, salt and ground pepper. Stir in corn and cream of chicken soup. Pour into an 8×8 inch baking dish. Top with browned tater tots and bake for 20-30 minutes until bubbly and hot. Top with cheese if desired.